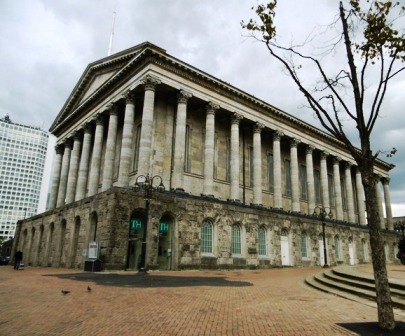 Christmas is coming and Birmingham Town Hall is celebrating in style with loads of seasonal shows. Highlights include Christmas swing from Clare Teal, festive Ska courtesy of Neville Staple and Yuletide nostalgia from The Osmonds. The fun begins on December 11 with the That'll Be The Day Christmas Show. The popular Rock 'n' Roll variety show features favourite Christmas classics from the '50s, '60s and '70s alongside cracking comic turns. For a Christmas party to remember head to the Town Hall on December 14 where The Specials singer Neville Staple will be joined by Talisman and Buster Shuffle for a seasonal Ska spectacular. Jamaica-born Neville Staple came to prominence in The Specials and Funboy Three as part of the original Coventry Ska explosion. During his more than 35 year career he has also performed with bands like No Doubt and appeared on the soundtrack for the movie Vampires Anonymous. Christmas music of the more traditional kind can be heard on December 15 when the Birmingham Canoldir Male Choir celebrate their 50th anniversary with their annual festive concert. There is another choir concert the next day, December 16, when the Midlands Hospitals' Choir, conducted by James Llewelyn Jones, takes to the stage in support of CLIC Sargent. Both the matinee and evening performances will feature popular music and carols old and new, accompanied by Gemini Brass. Why not spend Christmas with award-winning singer and BBC Radio 2 presenter Clare Teal on December 18? With her Big Band, conducted by trumpeter, composer and arranger Guy Barker, she'll be serving up a feast of tunes, from swing to ballads. Everybody will be prepared for Christmas after an evening of sparkling songs made famous by the likes of Peggy Lee, Doris Day, Bing Crosby, Nat King Cole and Ella Fitzgerald plus Clare's own original material. Birmingham's city organist Thomas Trotter and the choir of Birmingham Cathedral invite everyone to join them to sing carols at the Town Hall at 1pm on December 19. Presented by Jeremy Nicholas, this is a great opportunity for a seasonal singalong. 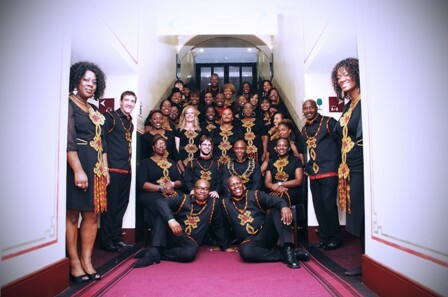 If your appetite for carols and Gospel music has been whetted don't miss the Town Hall Gospel Choir's return to its home stage on December 21. Suitable for all the family, this spectacular concert offers festive faves with a Gospel twist. It was back in 1984 that Maddy Prior first joined forces with the Carnival Band, who specialise in music from the 16th and 17th centuries, for a Radio 2 programme of Christmas carols. The collaboration was such a success it became an annual event and on December 22 they are back at the Town Hall for an evening of Carols and Capers. Another tradition is the Andy Williams Christmas Show which is being kept alive by three of the Osmonds who bring The Andy Williams Christmas Extravaganza to Birmingham Town Hall on December 23. Joining Jimmy, Jay and Merrill are Britain's Got Talent ventriloquist Steve Hewlett and singer Charlie Green.